Flamez mini-tips. With a size of 40 x 20 mm these tips are perfect to roll in one move. 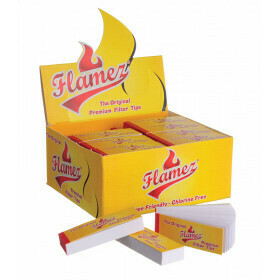 Flamez offers you 140 grams mini filter tips for the best result. 75 books with 50 leaves on a renewed display. try a sample for yourself.